Notes: Sturmer station had a single platform on the down side of the line. 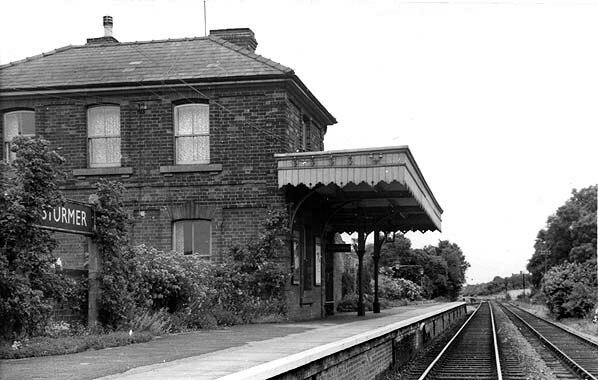 The two-storey station building was square and of brick construction with a hipped slate roof with a single-storey wing at the south end. 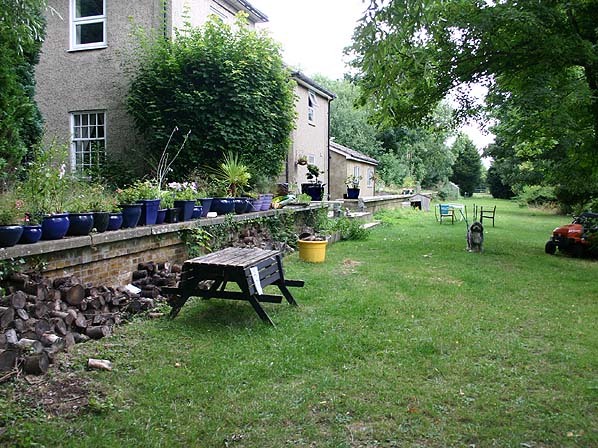 It was sited at the north end of the platform and comprised the stationmaster's house, booking officer and waiting room. A short canopy supported on two cast iron pillars infront of the building gave weather protection. There was a small goods yard with a single siding accessed from the east running behind the platform with a second siding opposite the platform. By the turn of the 20th century this siding had been extended to the north to form a passing loop but a second platform was never added. The goods hard didn't handle livestock. as the powers were obtained, the ECR took over and immediately sought extended powers to build from Sudbury to Shelford on the London-Cambridge main line, plus a branch from Melford to Bury St. Edmunds. At the same time, the Colne Valley Company, anxious to be independent from the ECR, sought approval for a line to Cambridge. increasing losses being incurred. In April 1965, the British Railways Board gave notice of their intention to close the line from Marks Tey to Cambridge with total closure planned for 31.12.1966. The Minister of Transport refused permission to close the Sudbury to Marks Tey section because of commuter needs and planned development at Sudbury. 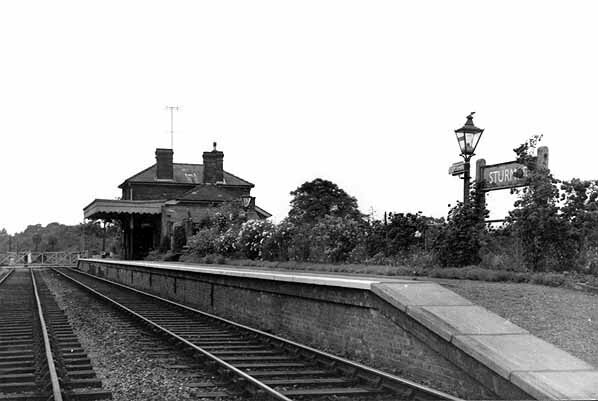 Sturmer Station looking south-east in 1965. 1876 1:2,500 OS map shows Sturmer station as built. 1896 1:2,500 OS map. 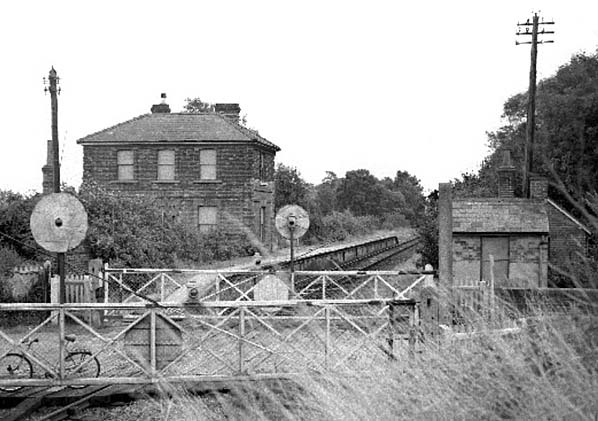 By this date the siding to the south of the line had become a passing loop; there was never a second platform. 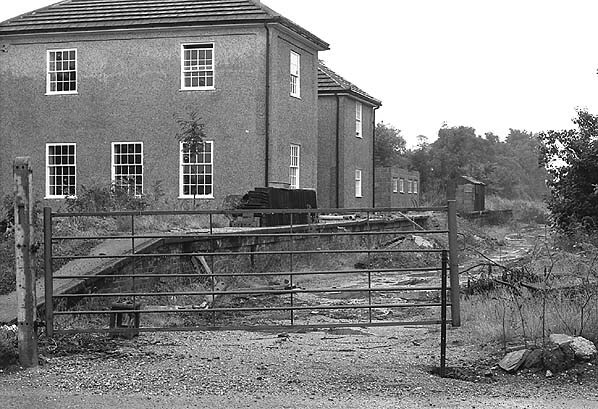 Sturmer station looking south-east in September 1967, 6 months after closure. 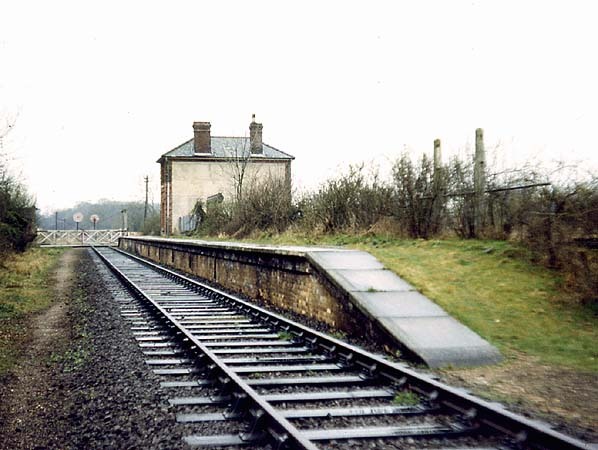 Sturmer station looking north-west in the 1960s. Sturmer Station in August 2005 taken from the same viewpoint as the 1965 picture above. Only the closes building is original, the others are later additions after the station closed.